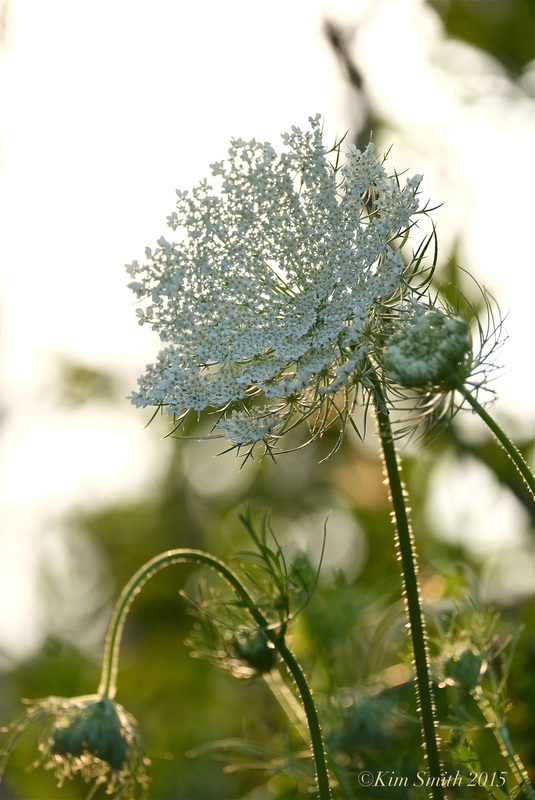 Although not a native North American wildflower, Queen Anne’s Lace has adapted to our climate well, reportedly growing in every state save for Idaho, Alaska, and Hawaii. 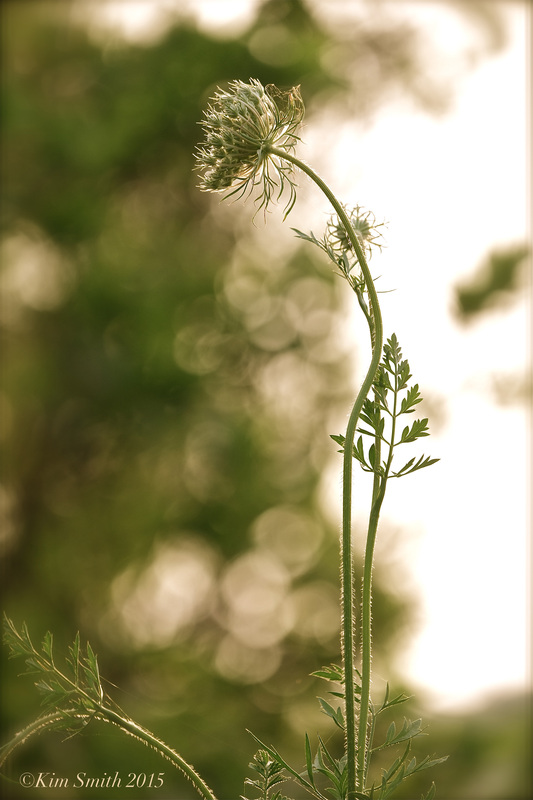 A member of the Umbelliferae, or Carrot Family, Queen Anne’s Lace also goes by the common names Wild Carrot, Bird’s Nest, and Bishops’s Lace. The root of young plants, although white, tastes like a carrot, and when rubbed together between fingers, the foliage smells of parsley (also a member of the Umbel Family). 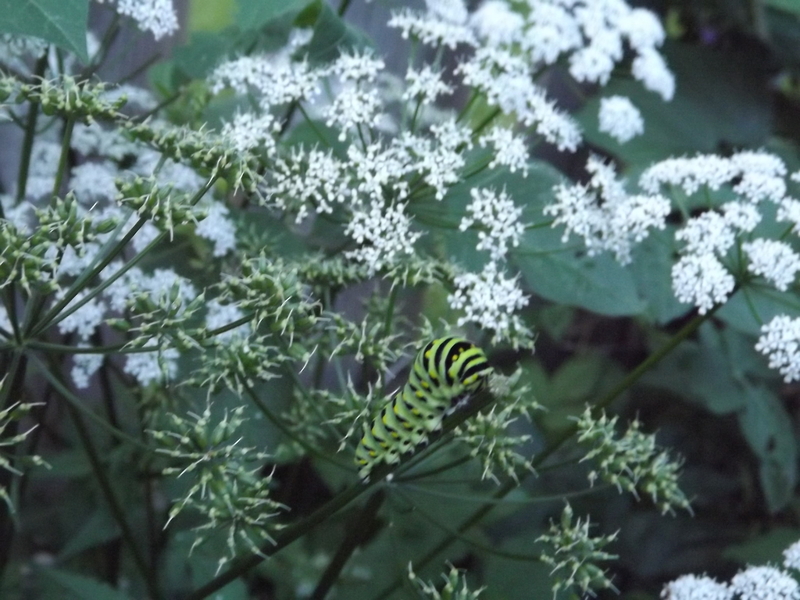 Queen Anne’s Lace is a caterpillar food plant of the Black Swallowtail Butterfly. Don’t despair butterfly lovers. 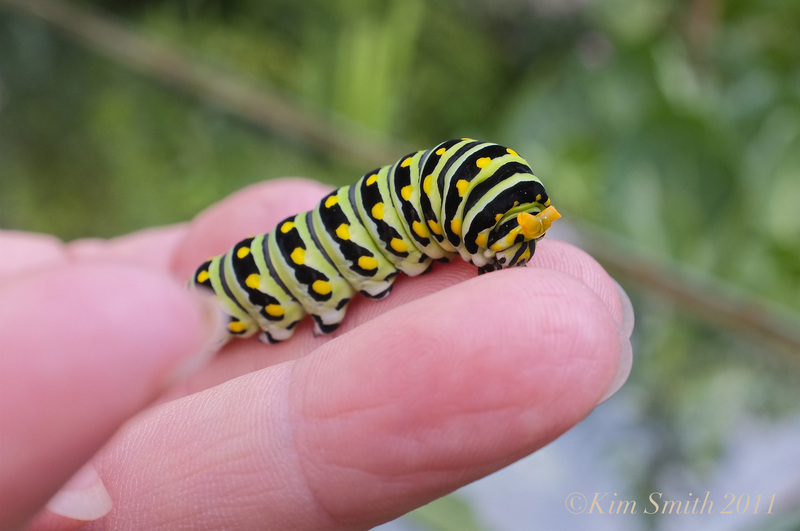 Although the butterflies have been slow to awaken this year, I have high hopes that just as flowering plants are several weeks behind, so too will the the butterflies emerge–only later than expected. Please join me Tuesday evening at 7pm at the Chelmsford Public Library for my lecture The Pollinator Garden. The event is free and open to the public. I hope to see you there! I came across your web site when I was trying to find out what kind of caterpillar I had in my back yard. I was thrilled to find your website and now am following your updates. 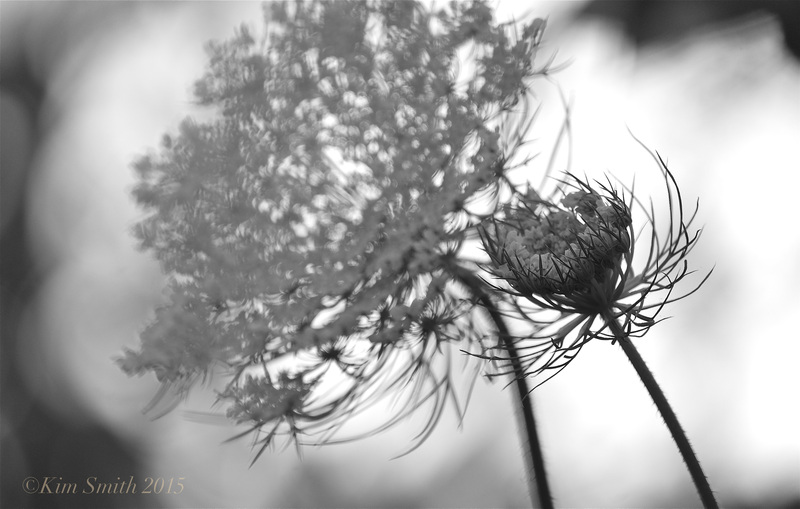 Thank you so much for answering my question about the Queen Anne’s lace and the Black Swallowtail Butterfly. I have attached the picture I took in my back yard (London, Ontario) for you. This entry was posted in Black Swallowtail Butterfly, Butterflies of Cape Ann, Butterflies of Massachusetts, Butterflies of New England, Butterfly Garden, Events and Appearances, Home and Garden, Lepidoptera ~ Butterflies, Skippers, and Moths, Wildflowers and tagged birds nest, Bishops’s Lace., Black Swallowtail Butterfly, Black Swallowtail caterpillar, Daucus carota, Queen Annes’s lace, Wild Carrot on July 17, 2015 by Kim Smith. 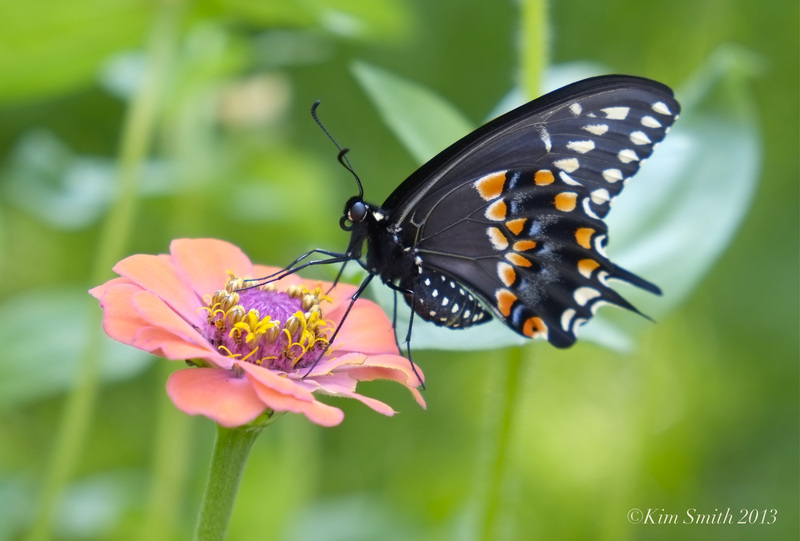 Thank you for this information on the Queen Anne’s Lace and the Black Swallowtail Butterfly.